Not sure what campaign is the best fit for your business? No problem. 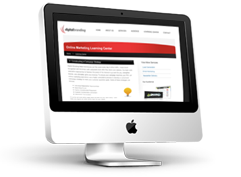 Read through our helpful Learning Center to view examples and find a solution that fits your needs. At Digital Branding, we’re revolutionizing the way advertisers connect with their target audiences online. Our suite of targeting capabilities, user friendly network of leading content websites, and consumer data advantage enable you to reach your desired audience in a quality environment, and our exclusive reporting capabilities prove it. In addition, our award winning creative team specializes in developing customized marketing solutions for advertisers, maximizing your campaigns impact, and increasing quality leads.